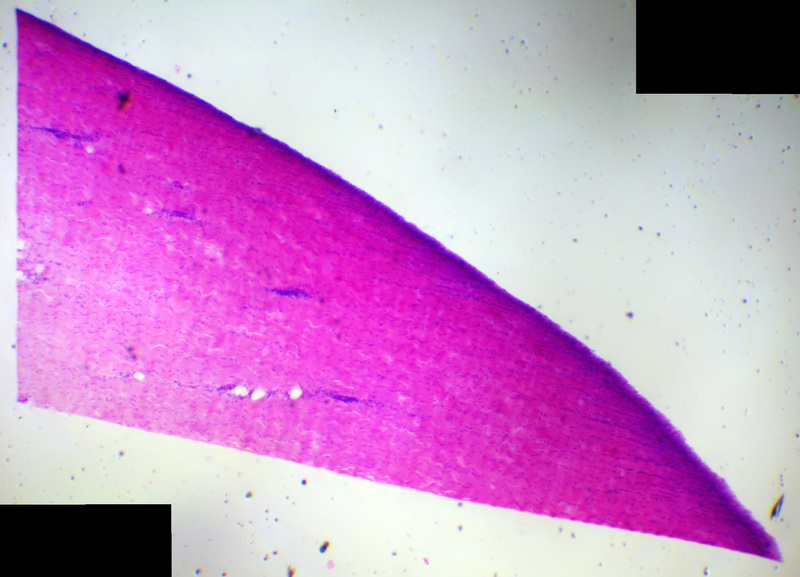 To see tomato cells under microscope, simply squeeze a bit of tomato juice on a clean glass slide and gently place a cover slip over it. Tomato cells are floating in the juice and hence are not connected to each other. The thick black circles are air bubbles that got trapped between slide and cover slip. I was not able to get rid of them after couple of tries. 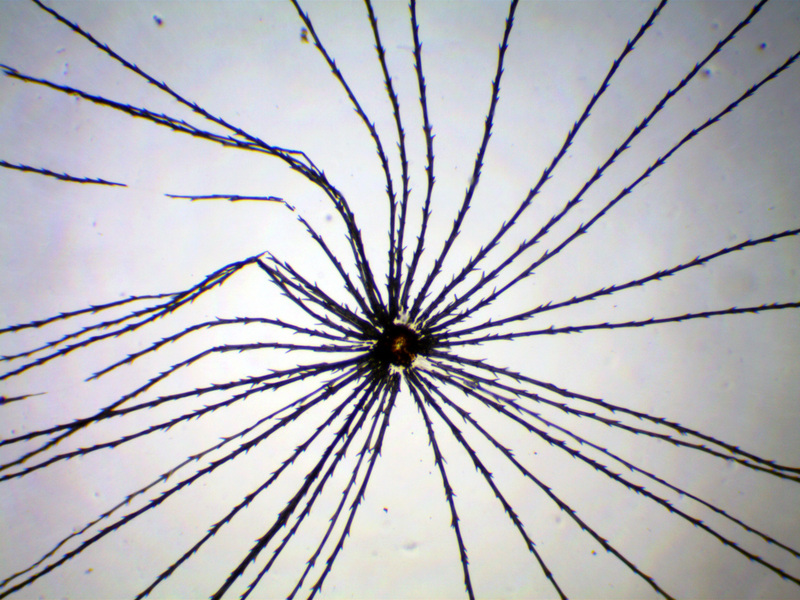 In this post, I will show how to make a wet mount slide for looking onion cells under a microscope. 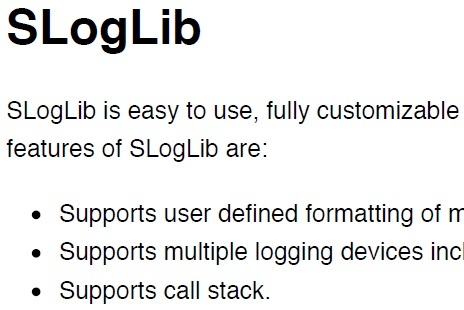 of the slide. To peel the membrane, you can either use a sharp blade or a pair of tweezers. It is important to do this step carefully so as to not break too many cells. So, ideally always hold the peeled membrane at the edges. Now carefully, place the membrane in the drop of water placed earlier on the slide. You may want to put a small drop of tincture iodine over the onion membrane. This is to help create contrast between cell nuclei and other parts of cells. Finally, gently lower a cover slip over the membrane. 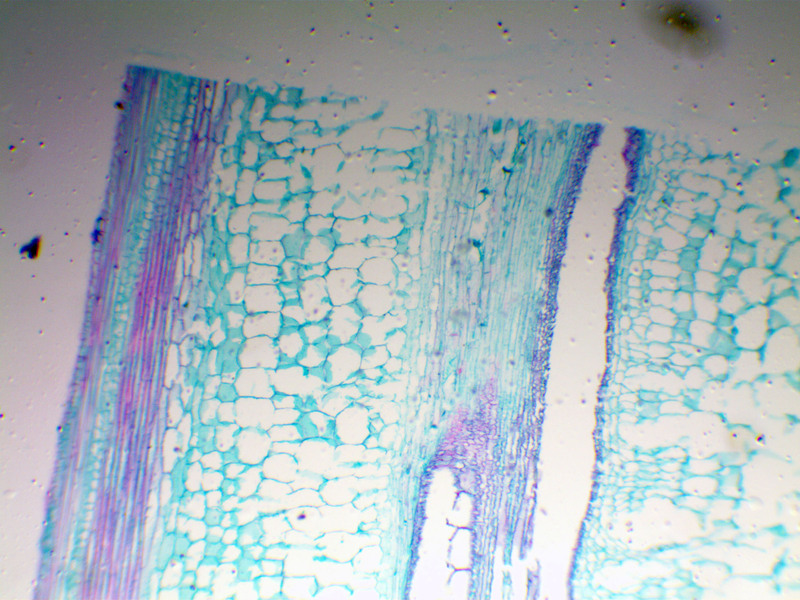 Below are the micrographs of the onion cells. 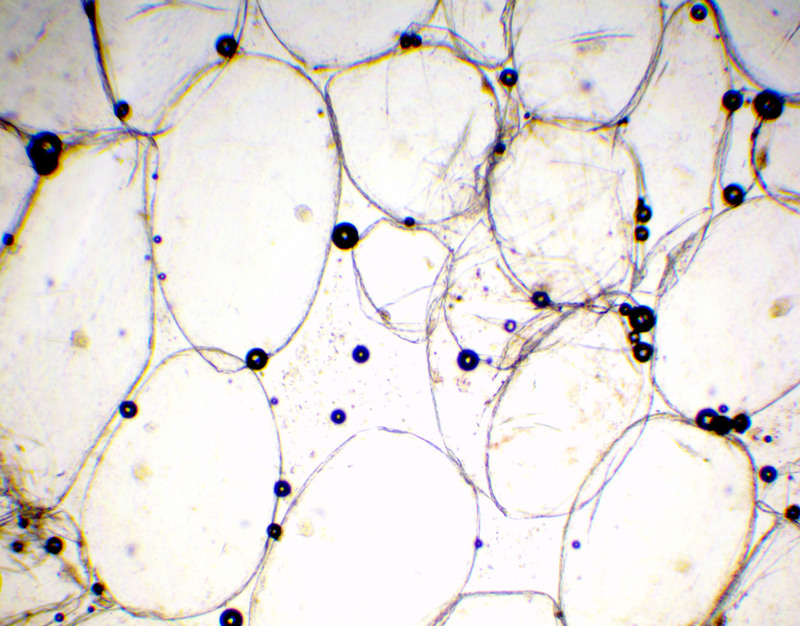 The nuclei are the small dark circles and the thick black lines are the cell walls. 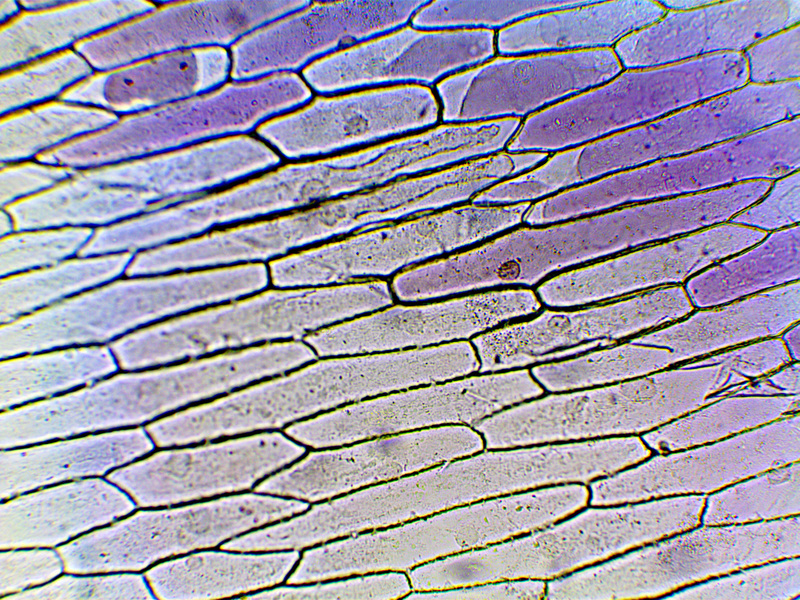 Onion cells magnified 40 times. 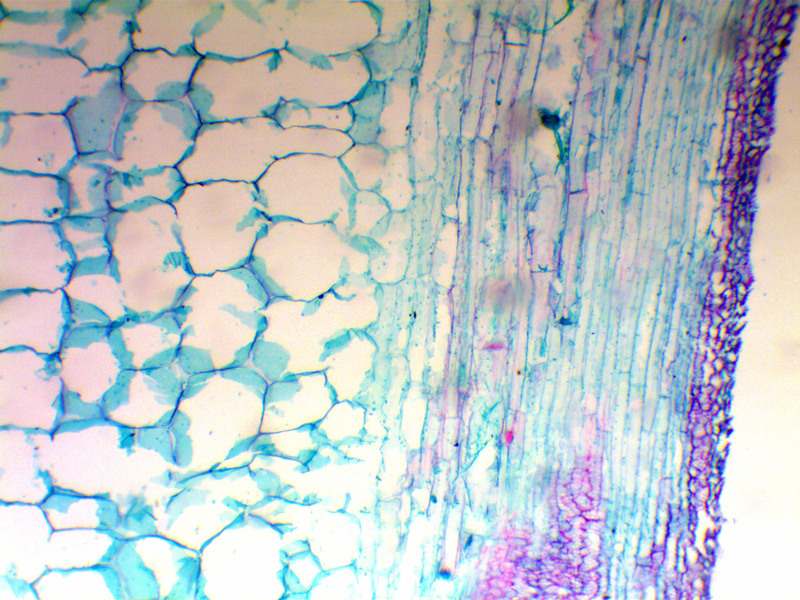 Onion cells magnified 100 times. 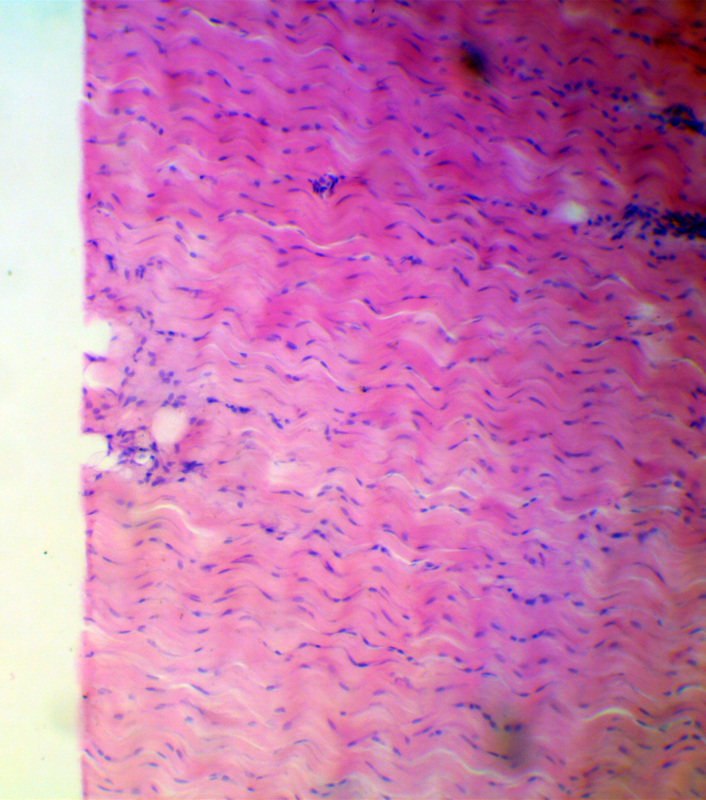 Dog cardiac muscle longitudinal section (l.s.) is the 9th slide in the Amscope 50PC prepared slides. A cardiac muscle is found only in heart. These muscles are involuntary i.e. they contract and expand automatically to keep heart pumping. 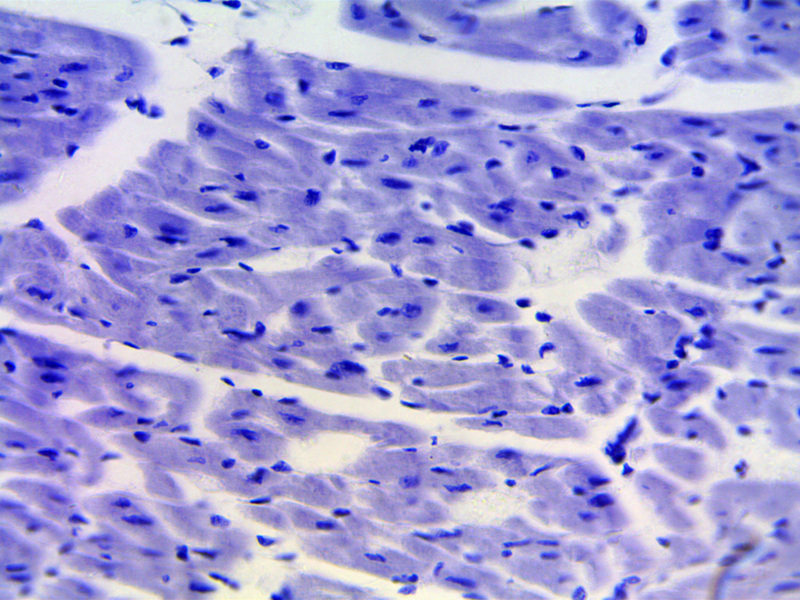 I am not 100% sure but most likely the cark blue dots in the micrographs are the nuclei. 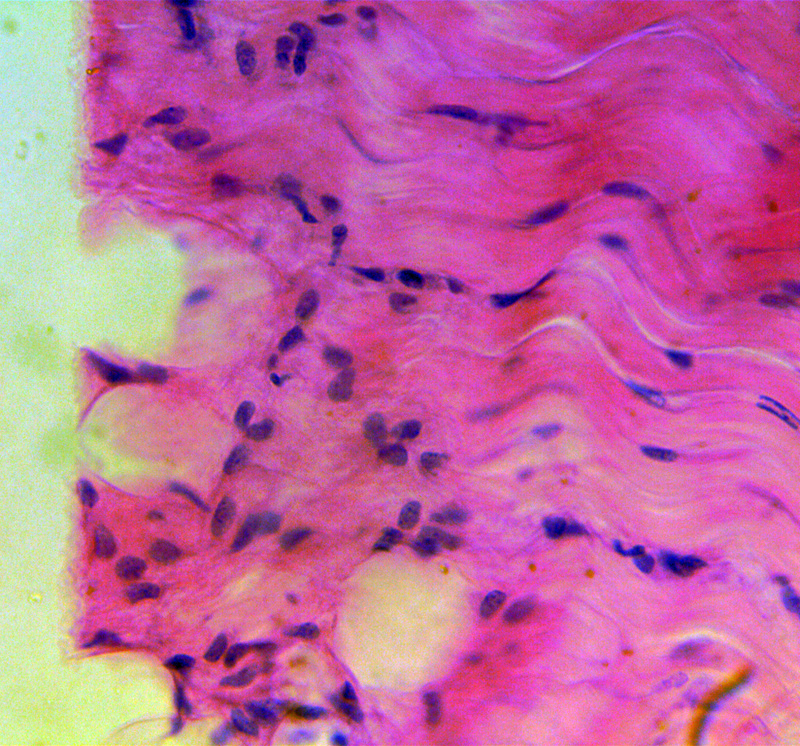 Dense connective tissue (section) is the 8th slide in the Amscope 50PC prepared slides. 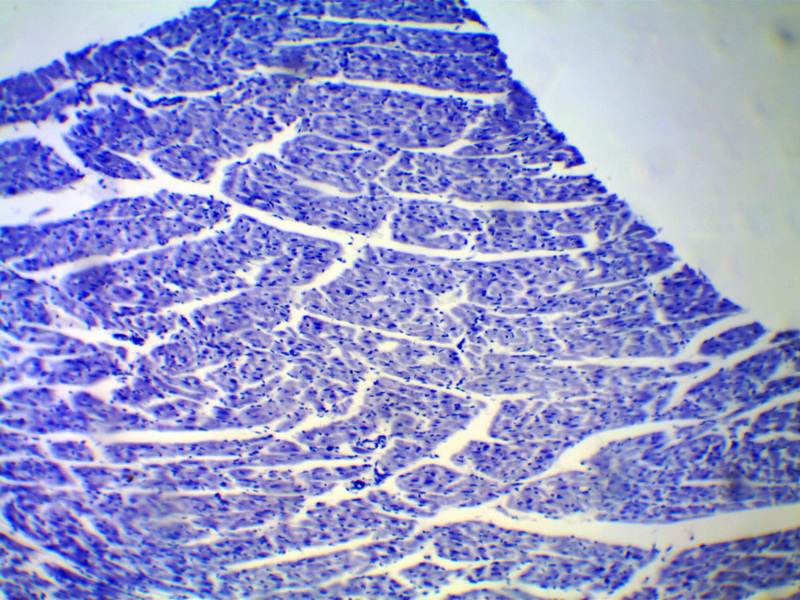 Dense connective tissue have densely packed fibers made up of mainly collagen (while lines in the micrograph below). 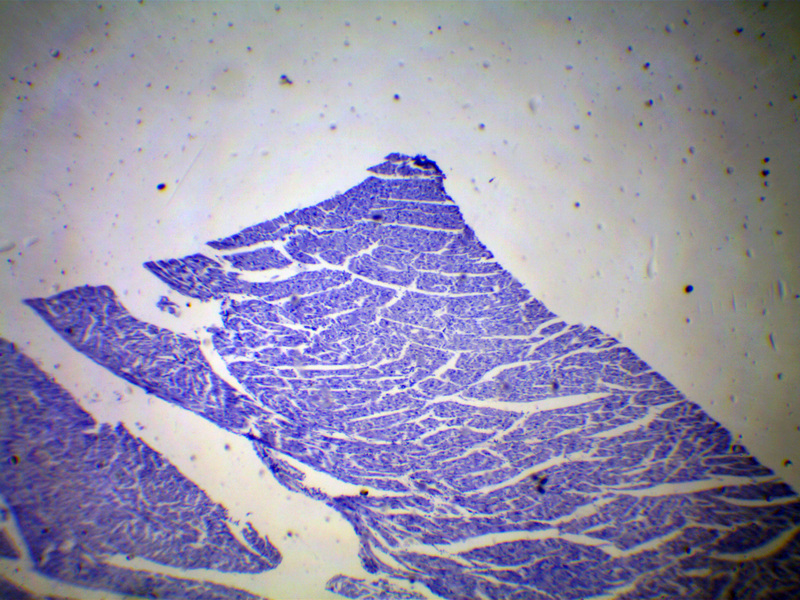 The fibers in these tissues are regularly arranged and they are very strong but inelastic. 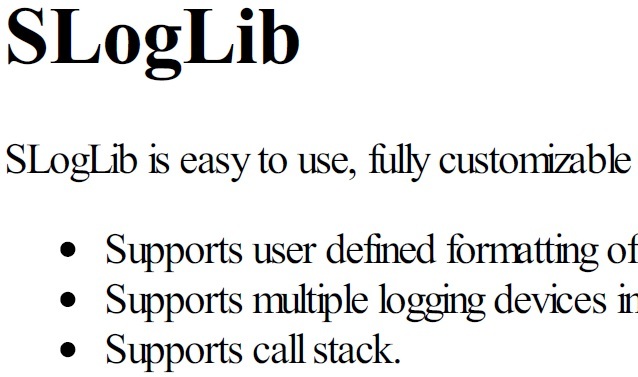 Due to their in-elasticity, they can break if a strong force is applied across the fibers. Dense connective tissues forms the ligaments (connects muscles to bones) and tendons (connects bones to bones) in our body. Dandelion Fuzz whole mount (w.m.) is the 7th slide in the Amscope 50PC prepared slides. Dandelion is a yellow colored flower native to Eurasia and North America [Wikipedia]. 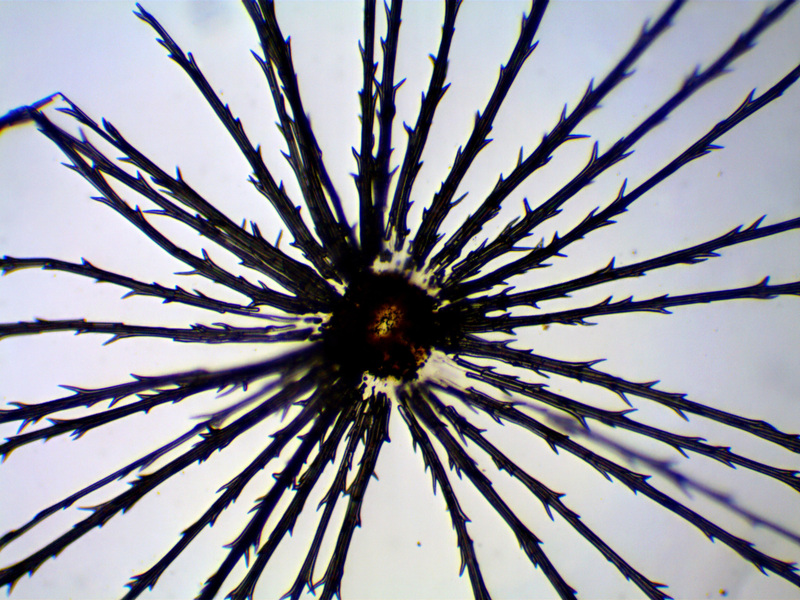 What appears to be a single dandelion flower is actually made up of a large number of small flowers called florets! After removing the yellow petals from all florets, we are left with dandelion fuzz also known as seed head. 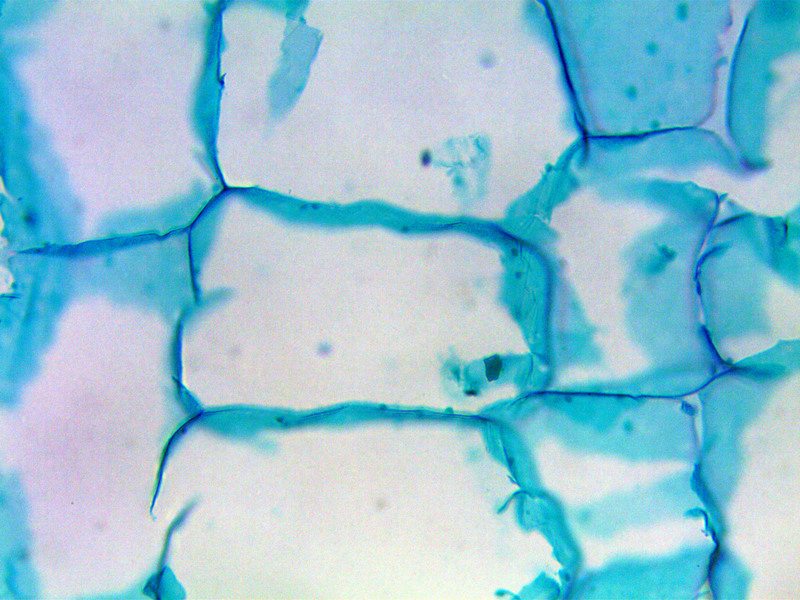 The micrographs below show a single seed from the seed head. 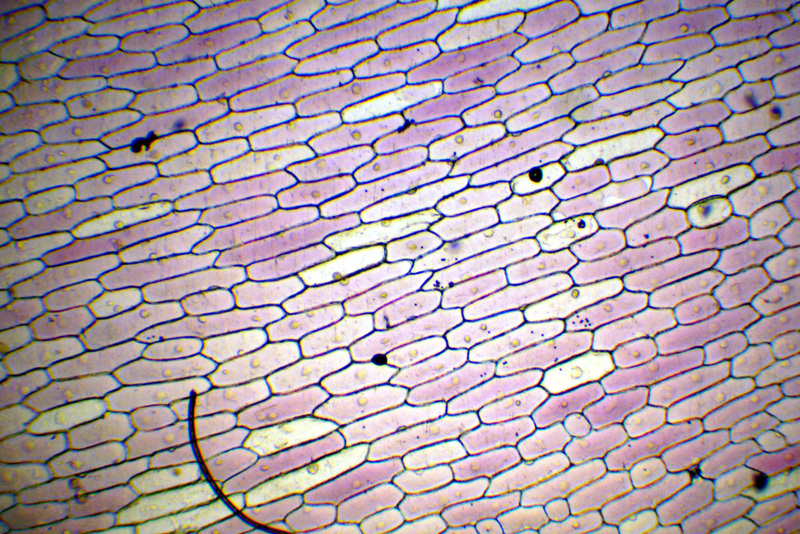 Cucurbita stem lateral section (l.s.) is the 6th slide in the Amscope 50PC prepared slides. Cucurbita (Latin for gourd) is popularly known as squash, pumpkin, or gourd depending on species, variety, and local parlance.